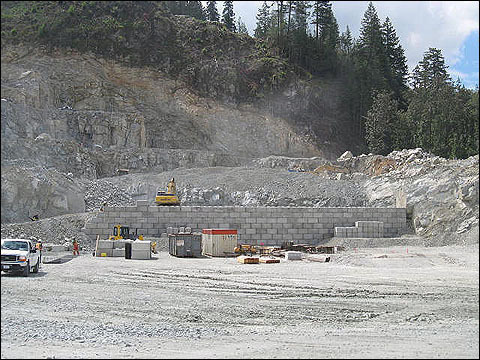 Lafarge’s aggregates product line offers a full range of crushed rock, stone, sand, and gravel for the civil, commercial, residential, and industrial construction sectors. 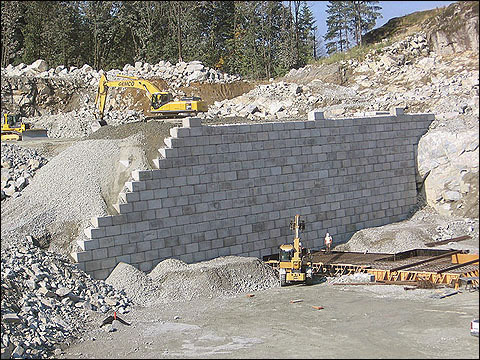 Gemco was contracted to build a 12m lock block retaining wall. 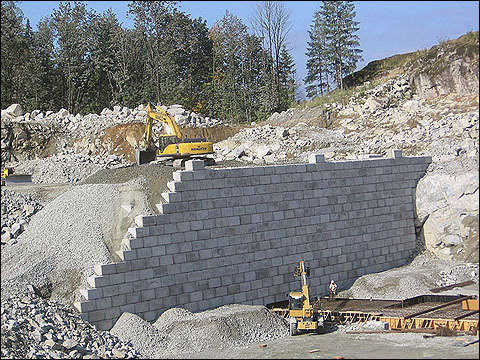 The wall includes 550 blocks and 6,500 m3 of embankment fill.